What is a British Pension? The British State Pension, formerly known as the Old Age Pension, is a regular social security payment from the UK government most people can claim when they reach State Pension age. Do you qualify for a British Pension? Anyone who has made the minimum amount of National Insurance contributions in the UK is eligible for a British State Pension, even if you’re not a British citizen. Usually your employer will automatically deduct National Insurance contributions from your salary. Self-employed people must pay directly. Working-age expats can make voluntary contributions while working abroad to address any gaps in their National Insurance record. How much British Pension will you get? The amount of State Pension you’ll get depends on how many ‘qualifying’ years of National Insurance payments you have. This includes National Insurance contributions that you pay when you are working and contributions that are credited to you when you are unable to work, as well as voluntary contributions you’ve made to fill any gaps (for example, an expat living and working abroad). You’ll need 30 qualifying years to get the full basic (old) State Pension and 35 years for the full new State Pension. You’ll get a proportion of the your State Pension if you have between 10 and 35 qualifying years. 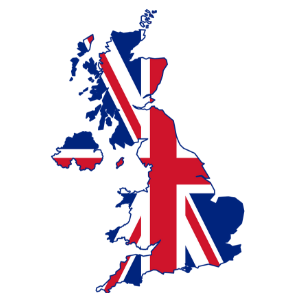 What are the options for expats regarding their British Pension? British expats can pay into a UK pension scheme from abroad. Living abroad, or working for an employer who is based overseas, no longer limits the amount either of you can pay into a UK pension scheme. The downside is that tax relief may be limited – or not available at all. Option 1 – leave your pension in the UK pension plan. Your pension will continue to be held by your pension provider until you claim it. You can request early payment of these pensions from age 55 at which point you may be able to take up to 25% of the value as a lump sum and use the remainder to provide a pension for your lifetime. Anybody who has a defined contribution (DC) pension scheme will be permitted to access their pension pots as cash from the age of 55. Option 2 – transfer your UK pensions to an approved arrangement in your new country of residence. It may be possible to transfer your UK pensions to a pension arrangement overseas if the pension plan is a Qualifying Recognised Overseas Pension Scheme (QROPS). Do you need advice regarding your British pension? You need to ensure you’re getting the most value from our pension, which could entail an overseas pension transfer, a deferment, a lump sum cash in, or a number of other options. Then there are tax considerations, both in your home country and the drawing country. Contact one of our expert financial advisers. We’re experienced in helping expats protect your expatriate pensions, particularly with regard to offshore tax implications. Yes, retired expats are entitled to receive your British State Pension, even if you live abroad. Your pension can be paid into any bank account in the world, in any currency. But beware, there are tax implications to collecting your UK Pension in Australia. Advice on anything relating to your money may be considered financial advice. Financial advice covers a wide range of areas such as savings, investments, foreign exchange, getting a mortgage, arranging your pension, saving tax and offshore tax advice, insurance, protecting your family, retirement.